While you read these lines, part of the staff at Identità Golose is in New York. We’re celebrating the ninth edition in a row of our event in the Big Apple, from October 1st to the 3rd. After so many editions, it is worth to start with a few words summing up the results, thanks to Paolo Marchi: «I’m happy to notice that things are changing: while in the past there were only some great pioneer restaurants such as San Domenico in New York or Valentino in Santa Monica, today Italian chefs are increasingly appreciated and rewarded internationally. And for dishes that go well beyond Spaghetti with meatballs. Our cuisine has become so popular that it also has non-Italian interpreters such as Michael White, Jonathan Benno or David Chang. 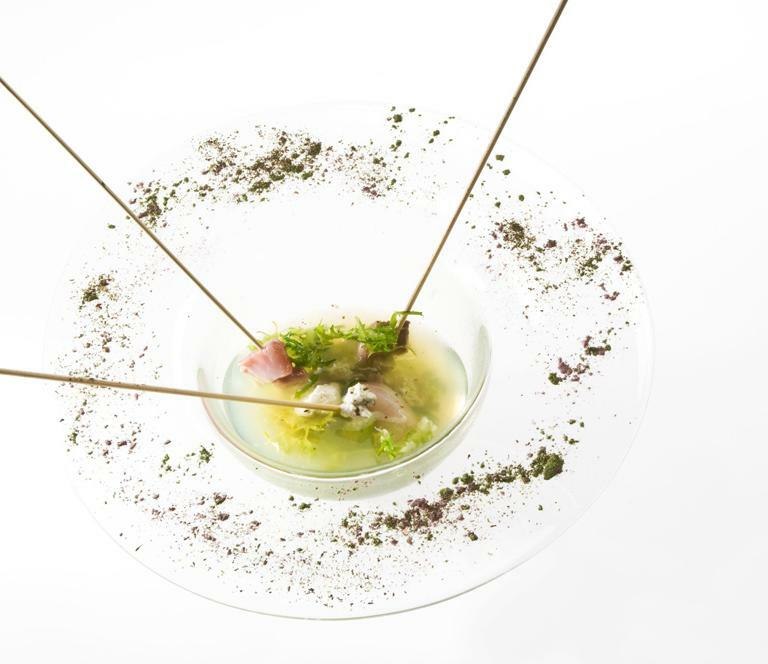 However, there’s still a gap to fill: the opening of restaurants from great native Italian chefs, who for some reason are less prone to open in the States, than in Asia or Dubai». The theme in New York is the same successful one of Identità Golose in Milan: the Human Factor. With a new feature: for the first time, lessons are held by single chefs, instead of a pair, with one Italian chef and a foreign one, which was the case in the previous editions. 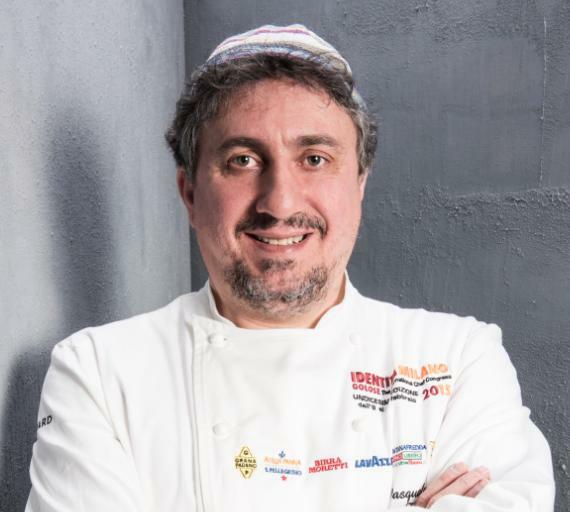 «Indeed we believe», Marchi says, «that contemporary Italian restaurants have grown so much that our chefs can act as protagonists even far away from Italy, thanks to a strong interest in those who are not constantly influenced by the usual and old stereotypes». Franco Pepe, from Caserta, with his pizzas he placed the town of Caiazzo on the map of the world, thanks to his Pepe in Grani; the latter, with Grigoris in Venezia Mestre, is constantly researching leavening. Please note that the event was dedicated to “Italian pizza” as pizza is a masterpiece that belongs to the world, and there’s more than just one school. Time for Virgilio Martinez, the most awarded Peruvian chef of the past few years, capable of presenting Peru in every shape and culture. Massimo Bottura, it’s almost needless to add any more words. Yet we at Identità will never forget the night in June 2016 when he won the World’s 50 Best Restaurants in New York. 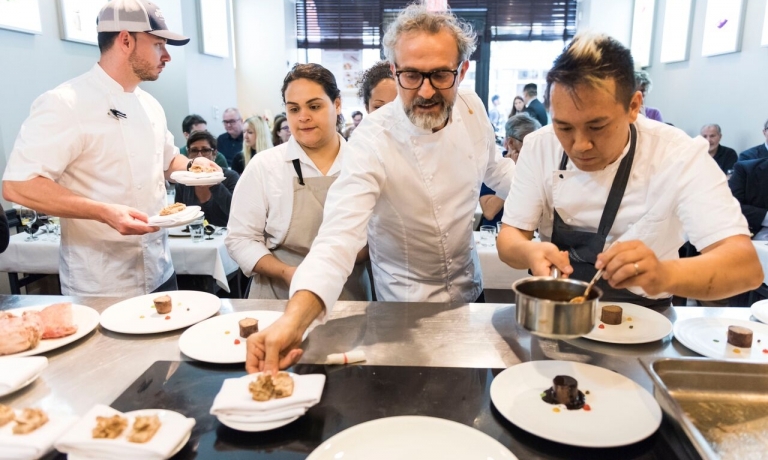 Returning to Manhattan with Osteria Francescana and Italy again at the top of the world has a special meaning, confirming the hard work done by many chefs to keep Italian food up to date. Rice, risotto and incredible surprises is the topic of the lesson by Cristina Bowerman, patron-chef at Glass Hostaria in Rome and president of the Italian association Ambasciatori del Gusto, a cook capable of interpreting tradition and innovation at every level and dose. Fifth and last lesson at Eataly in New York with Carlo Cracco andThe extraordinary world of Italian pasta, who opened his main restaurant in the Ottagono of Galleria Vittorio Emanuele, the Milanese noble sitting room. 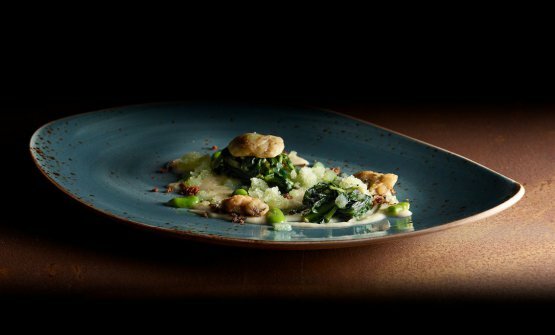 While Cracco is a synonym of rice, when he faces pasta he knows how to strike one’s attention with as much vigour and competence. 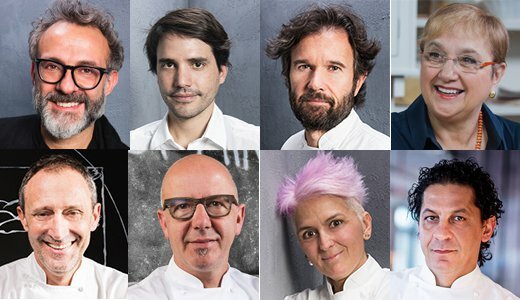 Same day, in the evening there’s the Dine Around 2018 event with Massimo Bottura taking care of the welcome, then Virgilio Martinez, Franco Pepe, Carlo Cracco, Francesco Mazzei and Cristina Bowerman who’s handed the dessert. Lidia Bastianich will be the host of the night, a honour for us all. 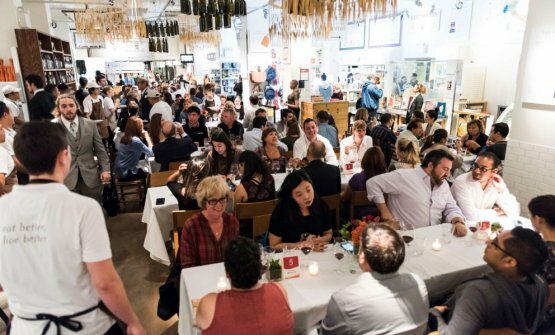 And on the 4th we’re off to Los Angeles to prepare the first edition of Identità in the Californian megalopolis, on the 5th and 6th October again with Massimo Bottura, Carlo Cracco and Franco Pepe joined by Corrado Assenza and Marco Stabile.